There are more 900 airlines, 200 thousand hotels, thousand packages, services, activities and others. With more than 16 years in the market, the iTravel is a leading company in advanced solutions of technology online for tourism industry. Based in Porto Alegre, in Tecnopuc (Scientific and Technological Park of the university PUCRS), the company is present in all brazilian territory and in others countries: Argentina, Venezuela, Paraguay, Mexico, Uruguay and USA. With our content manager software (CMS) is easier choose your layout, using pre-defined templates in accordance with the visual communication of your company. 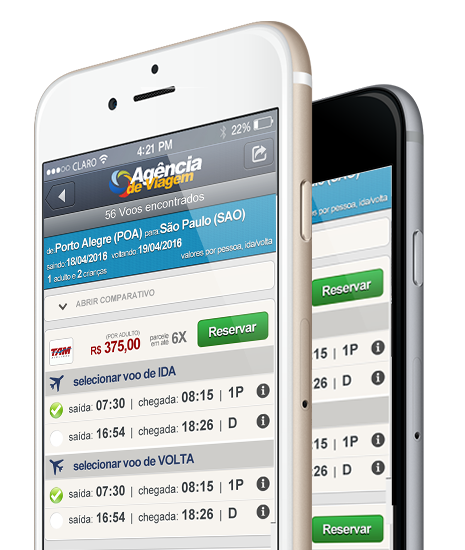 Through our connectors, your agency or operator can be offer to your customers booking options of flights, cars, trains, hotels, parks and others, in an easy and simple way. We offer advanced technology through a own research and development team. We use the best datacenters worldwide, ensuring scalability and security information. With tourism solutions and focus in this sector, we offer corporate management systems as CRM, Business Intelligence, Service Desk and ERP, that complement the management of your business. Have your sales portal of travel and online booking highly profitable! The iTravel, through our connectors, allows that agencies and tour operators customize and quickly implement portals for selling online travel services. In this way, your company serve customers globally, optimizing and personalizing experiences for growth and increased profitability. Our e-commerce’s beyond the conventional experiences because we offer a set of solutions: flights, hotels, cars, trains and others. We also offer integrated solutions for safe and complete management of your business, through softwares Business Intelligence, CRM, Service Desk, e ERP, hosted in scalable and safe datacenters. Try our products and be amazed!